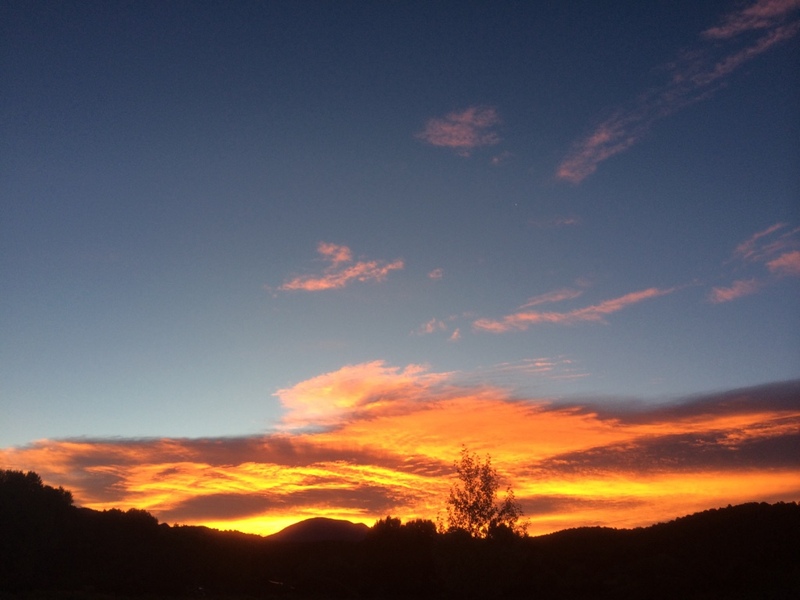 Jonathan Blaustein and Jessie Kaufman invite you to our 60 acre, stream-front horse farm at the base of the Sangre de Cristo Mountains, just outside Taos, New Mexico. We’ve designed a cutting-edge photo retreat program, in which you’ll have the opportunity to push your craft, and recharge your creativity. Over the course of 5 days and 4 nights, you’ll have individual and group critiques with our world class photo faculty, eat meals with your colleagues and instructors each day, hang out by a bonfire at night under the stars, lounge in hot springs along the Rio Grande River, and much more. Camping on the property, and 3 meals a day, are included with the cost of your tuition, so this is a social experience, as well as an educational one. We’ll go hiking to Williams Lake, 11,000 feet above sea level, and photograph along the rim of Rio Grande Gorge, 650 feet above the roaring rapids. There will be barbecues, of course, and fresh produce from the Taos Farmer’s Market. Our educational programming includes private tutoring by our faculty, with collective expertise in fine art, editorial and documentary photography, book design, custom printing, writing, teaching, collecting, curating, filmmaking, and philanthropy. During free time, you can sit on a rock beside the stream and listen to the sound of the Rio Hondo rushing by. Or maybe you’d rather fall asleep in a hammock with the sun on your hair? Basically, we’ve designed an Antidote to your stressful, urban, freelance lifestyle. If you’re accepted into the program, (there is no application fee,) by the time you leave, you’ll feel refreshed, energized, and ready to charge into your next big idea. “Within the first few seconds of visiting the Antidote website, viewing the video, and listening to Jonathan talk about this retreat, I knew I would have to apply to it. It offered the perfect mix of professional development, portfolio reviews, vacation, and networking; all in the beautiful landscape of New Mexico. Both Jonathan and Jessie opened up their home to us and provided us with space to camp, eat, read, and drink much needed cups of coffee. “Jonathan Blaustein is a damn good cook! I mean, really, damn good. He’s that cook that has a recipe down, many I’m assuming, and can just play with cooking. He loves it, it is loved and one can feel this when he shares his cooking with you. I have witnessed this, experienced this; and so, it really is no surprise that when it came to cooking up an amazing photo retreat, Jonathan did so with the same love and natural abilities he applies throughout the kitchen, his photography, his family and the classroom. Antidote is a dish created by a true lover of art, people and life. It is a dish I will gladly order again and I suggest you do the same if you are lucky enough to find it on your menu. I found Antidote quite by accident. Or, Antidote found me quite by accident. Either way, it was a lucky turn of events for my craft as it profoundly changed my connection to the work and others who truly share the love of photography. 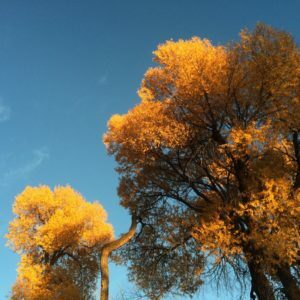 The setting is a no brainer, really; Taos New Mexico is a charming and mysterious land for art, adventure and life itself – it can and will change you – which is why so many great artistic adventure-ites chose this magical place to begin with. Add this to an amazing faculty of diverse professionals working through photography in all aspects and you have the foundation for a very special event indeed. There is no one thing I can point to that made this retreat so special – and to me, that’s because so much of Antidote’s success hinged within it’s so very well rounded capabilities and challenges, professionally – socially – artistically . Big thanks to everyone, EVERYONE!, what a treat to be with everyone involved and to be involved. “My favorite part of Antidote is difficult to choose as there were so many great aspects of the retreat. The people, the food, the camaraderie etc. I would have to say out of everything, I got the most out of the review process. I really appreciated the opportunity to meet with the reviewers and the opportunity to get feedback from each of their perspectives and areas of expertise. I also enjoyed getting to view and give feedback on the work of my fellow attendees and your students. On a scale of 1-10, I would rate my experience a 10. The whole experience exceeded my expectations. I did not expect to learn as much as I did and I felt really welcomed and valued. I was super nervous coming out to Antidote not ever having participated a photo review or anything like this. It was well worth the trip!! There was not anything that failed to meet my expectations. I feel Antidote delivered on the promises made on the website and during my interview. “Overall, Antidote was far better than I ever expected. I would say that Session 1 was a perfect blending of all aspects of the Antidote experience; location, food, faculty, students and hiking. The faculty was first and foremost the core of the experience, and having the time to interact with the faculty both formally and informally was ideal. My fellow students were a joy as well, it seemed like we all blended together well as a group of faculty and students, all learning from each other. I came away feeling like I had made some lasting connections with all who were there. Initially I didn’t know what to expect, since I had never been on a retreat of this kind. I have been at workshops geared towards photographing, and am attending one geared toward printing, but those are more specific. This was a structure of contemplating and questioning, to go further in a more introspective way. I think if you arrive open and willing you have a far greater chance to soar. Session 1 felt like we all arrived in the same way, making it a truly memorable experience for all. I am confident everyone who attended feels this way. “From the first conversation I had with Jon about attending Antidote I knew I wanted to go. The idea that one could step away from the stresses usually associated with review processes was of course appealing, and doing it under the wide New Mexico sky with great food and mentors, who are movers and shakers, at the top of their game in the photo field, was impossible to resist. The chance to come together as a community of peers and to have a chance to really connect was just what I was looking for even though I had not articulated it to myself so clearly. What type of photography do you make? Why do you want to come to antidote? Jonathan Blaustein is available for private teaching via video chat, phone call, one-on-one meetings, or group workshops. He consults with clients about various aspects of the photography industry, including photo book publishing, project development, artist statements, photo and text editing, and career mentorship. Please contact him directly at jonathanblaustein@gmail.com to learn more about his rates, and working with him directly. “I first engaged Jonathan at the beginning of a new long term body of work, which has evolved into my first photographic book. From the beginning, he asked challenging questions about my intentions and vision for the work. Certainly, based on the photographs I showed him at the time, he had reason to wonder where I was going to take it. There is often a distance between where our work is in reality, what is conveying to others, and how we as photographers ourselves view the work. “I originally met Jonathan at Photo NOLA 2014. As a reviewer, he stood out as being particularly engaged, and not afraid to debate the pros and cons of my work. The twenty minutes went by much too quickly. Sometime after the event, I learned that Jonathan would do phone consultations with individual photographers. His fee was reasonable and I knew he would be honest. He began by asking what I wanted to get out of my photography career and he used this information to steer the rest of the conversation. A professional teacher, Jonathan challenged me on several levels and made a number of interesting points that I hadn’t considered fully up to that point. “I first met Jonathan at the Medium Portfolio review. We had a good conversation, and while I don’t think he particularly liked my work at the time, I got some honest, critical feedback. A year later I reached out to him and told him how my project had evolved and casually mentioned how I wanted to make a book and we began working together via email and phone calls. He helped me over the next few months make a stronger edit of my work, develop contacts and also find my voice in my own work. He was always super honest, energized, and very giving of his time and efforts. I could not have asked for a better ally.